NEW YORK — Ralph Lauren swung to a first-quarter loss as it spends heavily to turn itself around, but the damage was not as bad as many had expected and its shares rose faster than any other Wednesday on the Standard & Poor's 500. 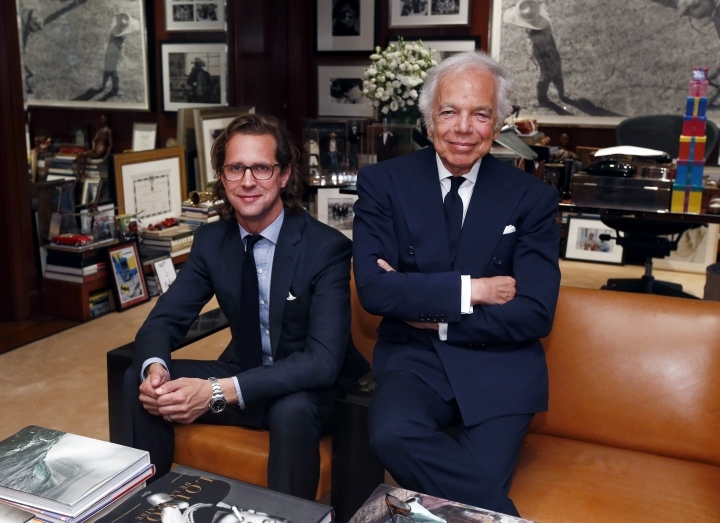 Just months after taking over as CEO for founder Ralph Lauren late last year, Stefan Larsson initiated significant changes. He is the first person other than Lauren to hold the title. In addition to slashing costs to right the company's balance sheet, Larsson tightened its focus on the brands that made Ralph Lauren known worldwide. 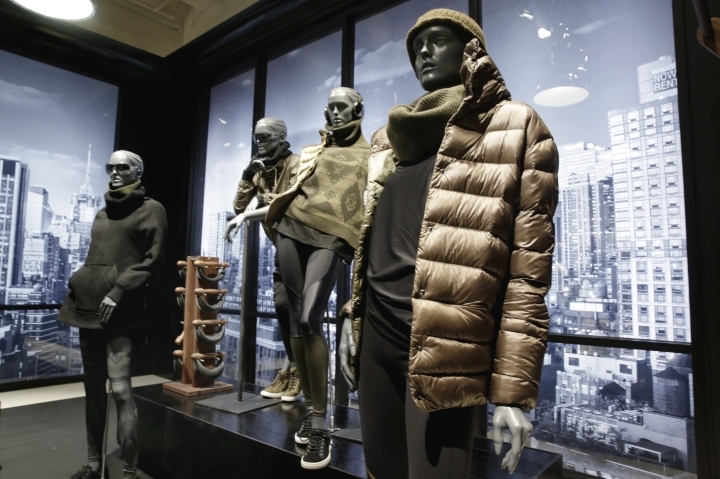 While the company is shutting 10 percent of its stores, it is pushing the core brand aggressively, which has been prominent at some very high-profile events. "One of those proud moments was our presence at Wimbledon earlier this summer and another was the Olympic ceremony this last Friday," Larsson said in a conference call Wednesday. "Where we could see team U.S.A. walking to the stage and demonstrating the strength of American iconic style." The blazer worn by U.S. flag bearer Michael Phelps, who won his 20th and 21st gold medals in rapid succession Tuesday, was lit up with electroluminescent panels spelling U-S-A across his back. The jacket made a huge splash. Changes at Ralph Lauren, however, have come at a cost. The New York company lost $22 million, or 27 cents per share, after reporting a profit in the same period a year earlier. Earnings, adjusted for restructuring costs, were $1.06 per share. Yet that was far better than the per-share earnings of 89 cents that Wall Street had been expecting, according to the analysts surveyed by Zacks Investment Research. Revenue fell 4 percent to $1.55 billion, but that too edged out expectations. The company also stuck by earlier revenue guidance and shares bolted 8.5 percent higher to $103.14. Still the stock is down 7.5 percent in the year to date. The company expects fiscal 2017 restructuring charges of up to $400 million, along with an inventory charge of up to $150 million.